Designed to stimulate debate and critical thinking and to draw readers' attention to the ideological nature of literacy education across a broad range of literacy contexts, this book crosses traditional boundaries between the study of family, community, and school literacies to offer a unique global perspective on multiple literacies, from theory to case studies of various settings. These examples suggest ways that literacy practices should be created by simultaneously shaping relationships and identity, and by privileging particular literacy practices in particular situations. 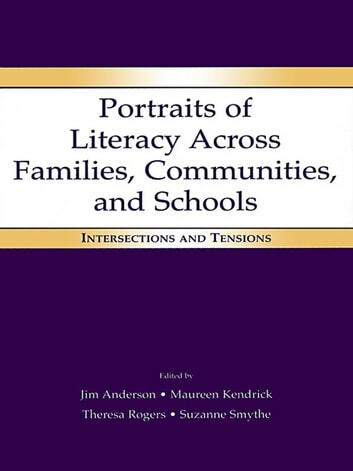 The dialogue within the book among chapter authors writing across traditionally distinct fields highlights the interconnections among diverse literacy sites and stimulates the pursuit of a more integrated and interdisciplinary approach to literacy education. The critical and dialogic approach serves to challenge and extend many conventional notions surrounding literacy education in communities, schools, and families. 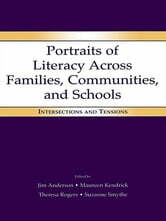 Portraits of Literacy Across Families, Communities, and Schools: Intersections and Tensions is particularly relevant for scholars and students in the area of literacy, broadly speaking, including family literacy, community literacy, adult literacy, critical language studies, multiliteracies, youth literacy, English as a second language, language and social policy, and global literacy. Additionally, the inclusion of studies derived from a variety of research methods and designs makes this is a useful text in research methodology courses that aim to present and analyze real-life examples of literacy research designs and methods.